Click for information on the Rally. You can Email the Rally Coordinator by clicking here. how to contact us and how to become a member. You will also find the calendar of events and our club projects. In fact all you need to know about the club and membership can be found on the BRATS Home Page. This is an example of an HF Beam ( the large antenna) and above it is a 12 element 2m beam. 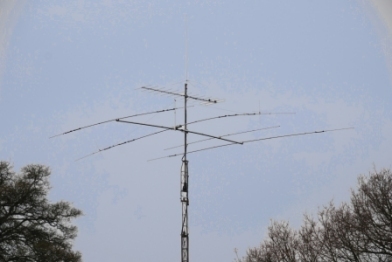 You could learn more about antennas in the Brats On-line Training. Copyright © The BRATS-qth.org 2013. All Rights Reserved.